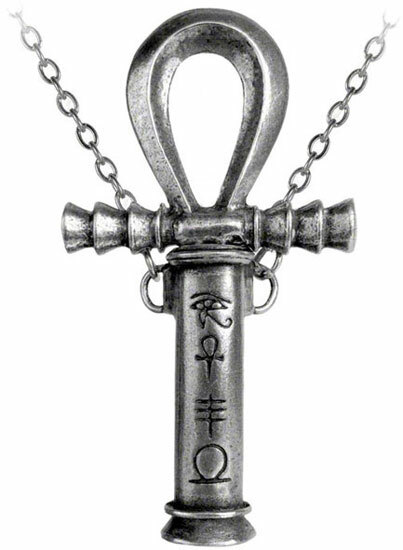 Ankh pendant with hidden blade that slides up and down. 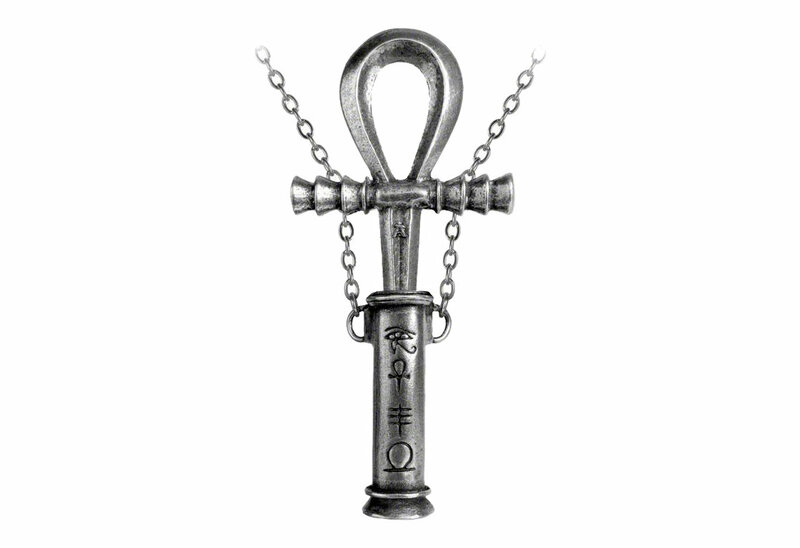 This unique pendant necklace symbolizes life and eternity. Made of fine antiqued English pewter. 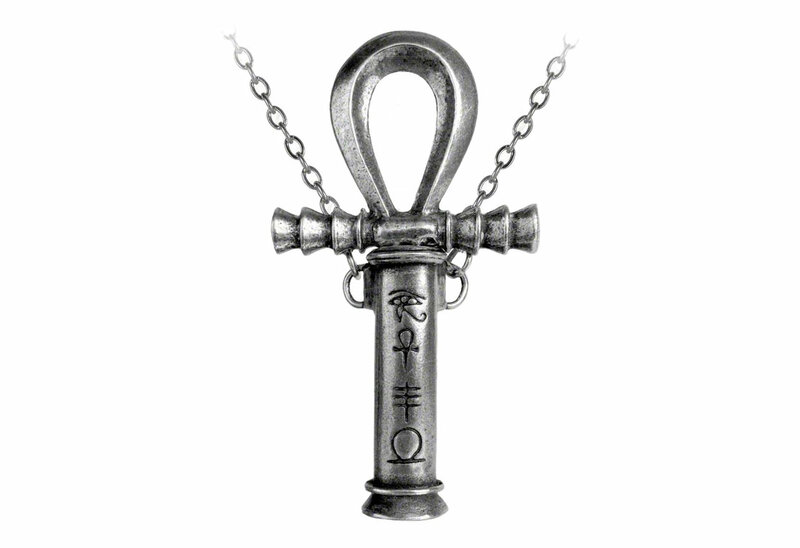 Measures approximately 1.65 inches wide by 3.11 inches high and 0.55 inches deep with a 21 inch chain with lobster clasp. The necklace that I ordered is exactly as shown in the pictures on the website. It arrived sooner than I expected. I am very happy with it.